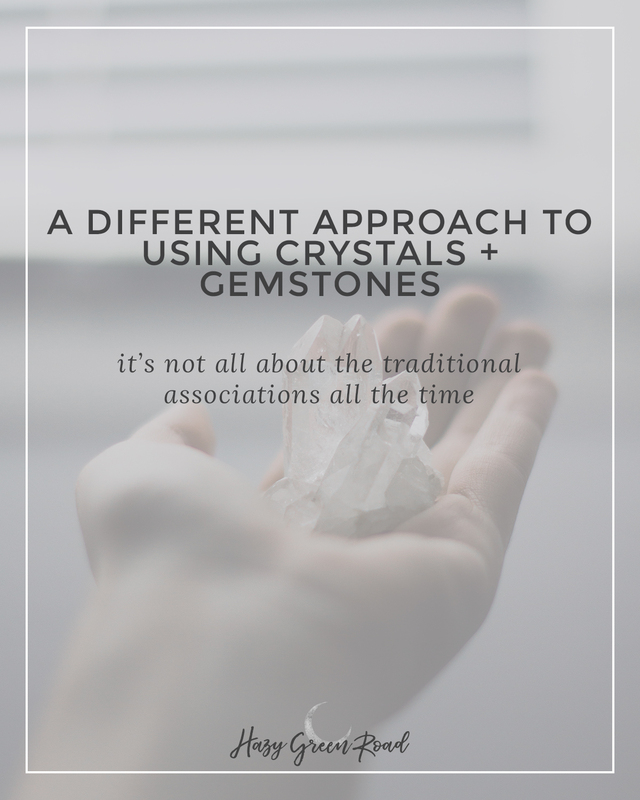 Crystals and gemstones are a huge topic in the spiritual community right now. There are sooooo many and a ton of associations with each one. They're used for their color associations, their metaphysical properties, or just as accent pieces for stock photos. They're helpful for the body, dealing with physical pain or discomfort. They're an aid for the mind, helping with struggles such as depression and anxiety. And they're a perfect tool for the soul, in which they clear and balance chakras and deal with transformative mindset shifts. They're all the rage. But I don't go by their associations. If I think a crystal is pretty, and I really like it, then I want it. I don't really take its traditional association to mind because I believe that you are attracted to things that either aid you in life or transform you in life. It's always a wise idea to get the base meaning of the stone, just so you do actually have something to go off of, but I don't really take those meanings to heart. This is because I intuitively feel the energy of the stone and see what buzzwords come up for me personally. For example, carnelian is a great stone because I actually do associate it with its traditional meanings: willpower, courage, motivation. However, citrine is different. Citrine is known for its ability to enhance clarity and vitality. I can slightly associate it with clarity, and maybe even vitality, but I will more than likely never use it for either of those. I associate it with inspiration, creativity and determination, because those are what the citrine makes me strive towards. When I have one around, I feel more creative and determined, but not necessarily super energized. Obviously, though, if a stone has a property that has actual provable effects, then I will not disregard those associations. For example, I recently learned about Shungite and how it absorbs electromagnetic waves from electronic devices so that you aren't absorbing them as much, which makes them great to use around your laptop or cell phone. Since this is a scientific, notable effect, then I will always associate Shungite with absorbing electromagnetic waves. What do you think about crystals and gemstones? Do you work with them? Let me know below.